This tour is offered as an optional extra for the 3 Night Discovery and 4 Night Outback Heritage Cruises and included FREE in the 7 Night Murraylands and Wildlife Cruise. 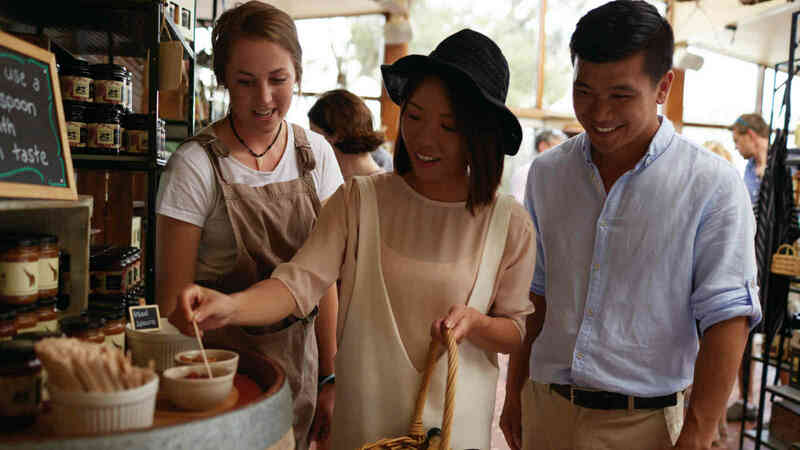 Depart Mannum, and travel into the famous Barossa, Australia’s richest and best known wine making region. Your first stop is at Jacob’s Creek Visitor Centre, where you will enjoy morning tea, followed by a structured tasting of five wines. Next visit Maggie Beer’s Farm Shop, and learn about Maggie and her story, as well as the history behind the Farm. Enjoy a short cooking demonstration, and taste a range of her produce, including any new products that are in development. Lunch is a two course gourmet feast at Lambert Estate, incorporating fresh regional produce available in season. Pair this with a glass of wine (own cost), and take in the magnificent outlook from the deck of this popular vineyard. Your final stop is Gully Gardens at Angaston, a local producer of dried fruits and confectionery. Enjoy a short video that showcases the fruits that are grown at Gully Gardens, the cutting and drying process and how they create tasty and unique confectionery products. Tasting samples will be offered whilst browsing the shop before heading back to Mannum. Sit back, relax and enjoy the scenery as you travel back through the picturesque Eden Valley. View the Murrayland flats from atop Palmer hill as you descend down into Mannum where you will then transfer to a luxury coach for your journey back to Adelaide arriving at approximately 5.30pm or Adelaide Airport at approximately 6.00pm. Departs: 9.30am Mondays/Fridays from Mannum and concludes 5.30pm Mondays/Fridays in Adelaide. 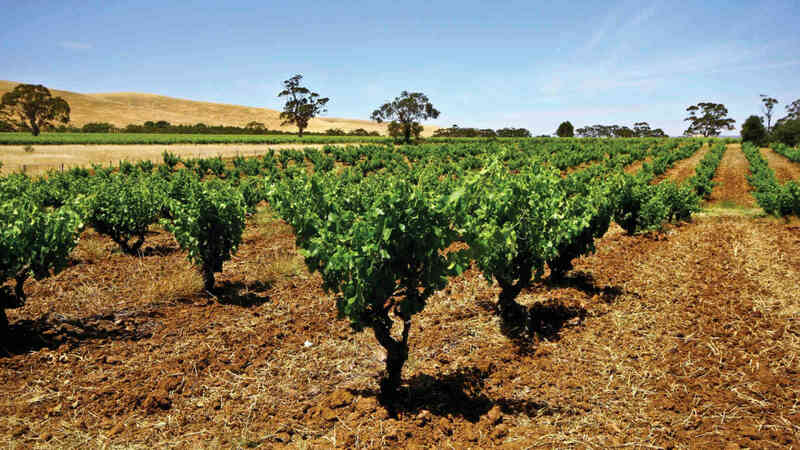 It is preferred that the Barossa Wine and Heritage Tour is pre-booked. Please call 1300 729 938 for bookings. This tour is available to passengers on the 3 Night Discovery or 4 Night Outback Heritage Cruises and is complimentary when you book the 7 Night Murraylands and Wildlife Cruise. Please note this tour is not an optional tour on the 7 Night Upper Murraylands Cruise.